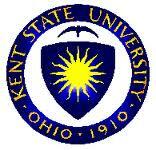 Kent State University focuses on teaching and research excellence. The school offers programs from the associate to the doctoral level. The College of Nursing provides an online RN/BSN program. The nursing program has received accreditation from the Commission on Collegiate Nursing Education. The school provides an online Master of Music in Music Education program. The Kent State University Hugh A. Glauser School of Music has received accreditation from the National Association of Schools of Music and by the National Council for Accreditation of Teacher Education. RN/BSN program: The updated program reflects important competencies for contemporary nursing practice as recommended by the American Association of Colleges of Nursing. The program provides leadership and management skills and enhances the student's knowledge in disease prevention, risk reduction and health promotion. The program provides an individualized clinical capstone project. Students are allowed to have an individualized academic plan. Master of Arts in Journalism and Mass Communication---Public Relations program: Provides advanced study in social media, crisis communications, management, branding, strategic campaigns and internal communications. Master of Music in Music Education program: The curriculum places an emphasis on the practical application of knowledge in a music classroom. The program focuses on choral, general and instrumental music as a learning package supporting a unified K-12 music curriculum. The program is practitioner-oriented. Students may place emphasis on two or three areas. The program includes a capstone project specific to the student's learning objectives. The Online students are taught by knowledgeable, experienced instructors. Applicants to the school of music are required to have the following: A bachelor's degree in music education from an accredited institution; three letters of recommendation; a teaching certificate or licensure from one of the fifty states in the United States; and a minimum of a 3.0 GPA in music and a 2.77 or higher GPA overall. Financial options include the Federal Stafford Loan and the Alternative/Supplemental Educational Loan. RNs seeking to take the College of Nursing's RN/BSN program need to have graduated from a State approved associate degree or diploma nursing program and have, at a minimum, a 2.0 GPA (on a 4.0 scale) for all college coursework completed. Candidates are required to also have a current registered nurse license in the state where they will complete their clinical requirements. Financial options include the Alternative/Supplemental Educational Loan and the Federal Stafford Loan.